I have a confession to make: I’m a nail polish junkie (as evidenced by my ridiculous nail polish collection). But, after sharing a picture of a fresh mani/pedi the other day and feeling good about using three- and five-free polishes, a dear IG follower got me thinking about just how clean some nail polish brands really are. 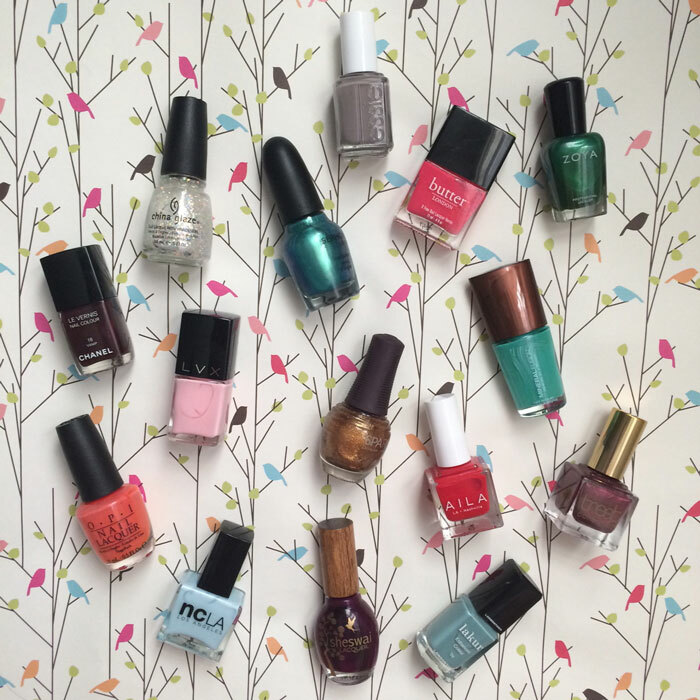 So, I thought I’d dedicate a post to getting YOUR candid feedback on 1) which nail polish brands you choose to keep in your collection, and 2) which ones aren’t worth your time or money. Though I only have a few brands of three-free polishes in my collection, the bulk of my collection is China Glaze (three-free), OPI (three-free) and Zoya (five-free). My obsession with China Glaze and OPI run deep, as these are the brands I used long before going green and caring about the numbers three and five. I share this point of view that, hey, nail polish just isn’t natural, so if I’m going to use it, I’m going to use what I like. But I also prefer to support smaller companies and niche brands that are showing me who they really are (ya know, some faces behind a brand name!) and the causes they support. Maybe I’m just sucker for new nail polish to add to my collection. Here’s the categories the 15 different brands in my collection file into — I suppose I’m in the right direction. Do you go three-free or five free? What about cruelty-free? What brands do you prefer (because, ya know, even some drugstore brands are three- or five-free! )?